$550 payable before or at the time of the consultation. Hourly fee and initial retainer to be determined and discussed during consultation. Please call (212) 826-9900 or email paul@paulrudderlaw.com. ters and a panelist at St John's University Law School all day course titled "THE COURT IS IN SESSION: PSYCHOLOGISTS ON THE STAND - A CASE OF A CHILD CUSTODY EVALUA TION" on September 30 2012. The program presented the issues and concerns in the stages through time in child custody, general issues related to all aspects of the child custody dispute and adjudication, common errors made by professionals, legal challenges likely to be faced, ethical and licensing issues likely to emerge, etc. "Paul Rudder is amazing person and a great lawyer. He has a heart but also great legal skills. He took me through a brutal experience with very good results. 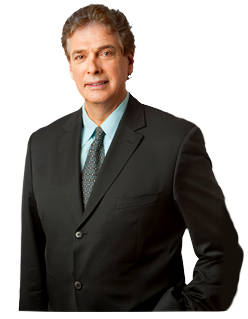 I highly recommend him to anyone who needs a divorce attorney"
"I came to see Mr. Rudder at the suggestion of my accountant. I got served with divorce papers and did not know who to turn to. From the moment I stepped into his office, I felt like someone had my back and I was going to be OK. He is not just a lawyer, he is a counselor at law which what a divorce lawyer should be, this is a very personal, emotional experience." "I needed a divorce and there was a lot at stake, significant assets and 2 kids. The divorce was not going to be friendly. There was a lot of hostility between and my now ex-wife. Paul Rudder did everything to avoid heavy litigation, tried to settle and negotiate as much as he could. Eventually we did go to court and this man knows how to try a case. I was very satisfied with the outcome." "I was about to get married and needed a pre-nuptial agreement. I was recommended Paul Rudder by a friend who used him for his. This is a very difficult and sensitive matter and he really helped me understand and identify my rights, goals as well a fairness to my soon to be wife." Mr. Rudder represents clients in NYC & throughout the Greater Metropolitan area.